Although I had been considering it for some time, this was my first attempt at actually publishing an E-book. I learned much from the experience, and hope this article will be helpful to those interested in translation (from Japanese or any other language) or those looking to make their first E-book, including those writing the content themselves. I will be presenting the various steps here as if they were performed serially, but in actuality there was a good bit of overlap. This entire process took around three months of me working on evenings and weekends in my free time. I could have probably done it in half that time (even quicker if I was doing it full time), but I wanted to take my time and enjoy the experience. As soon as I discovered the author Juza Unno (海野十三) was known as an important figure in the history of Japanese science fiction, plus the fact there was no official published translations of work yet in English, I was fairly certain I was going to do this project–even though I had, ironically, not read a single story of his yet. Juza Unno lived long enough ago that many of his works are available on Aozora Bunko, which seems to indicate that it is safe to translate them without any explicit permission from anyone. Doing a little searching, I found this great article that talked about methods to acquire permission for a work. However, it mentioned that just because something was on Aozora Bunko, it didn’t mean the work was 100% safe. So I decided to try and contact the author’s living relatives to get official permission to publish a translation of his stories. 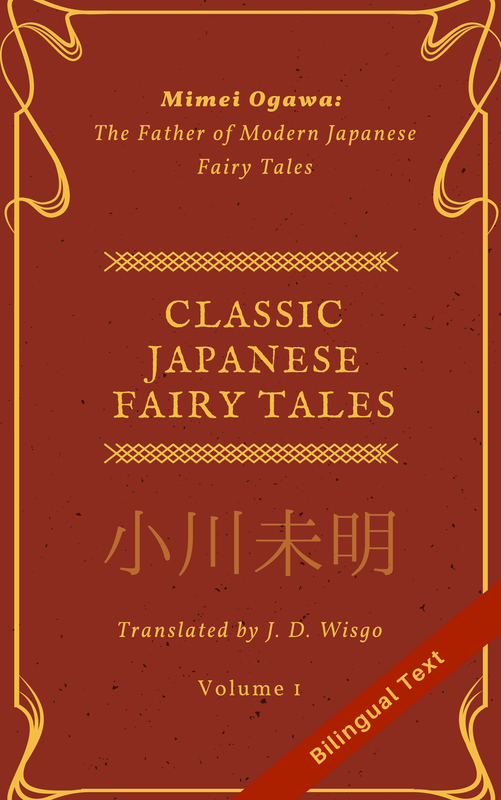 With a little searching around and sending emails in Japanese I was able to acquire official permission to publish a translation of Juza Unno’s works. I wanted to get this as soon as possible to avoid wasting time on translations that would never get published. Juza Unno has around 200 works available on Aozora Bunko, so it took some effort to select a handful of stories for the book. I ended up reading and/or listening to the voice narrations of 30-40 of his stories before I had a “set list” I was ready to start translating. This step was challenging because most of the author’s more well-known stories were quite long, and I wanted to keep to shorter stories. I ended up making a document with all the stories I listened/read, my rough impression, and their length in characters (using this tool). Because of the age and difficulty of the stories (and unfamiliar words that are hard to infer without kanji), I would sometimes have to listen to them a few times before I had a good grasp of what was going on. Besides being too long, some of the stories were harder to translate (for example, one had a few sections of legal-talk that would take extra effort) or I felt might not be enjoyed by the general populace for one reason or another. Others were good but didn’t fit with the concept of Juza being a science fiction author. Since I knew from the beginning I would only be doing, at most, a handful stories, I made sure I picked stories that I enjoyed personally and felt others would like reading. From a historical standpoint, one could argue that all of his stories deserve translation, but I had to choose carefully. This step took roughly 2-3 weeks, and for much of this time I was listening to his stories several times during the day–on walks, in the car while traveling, or at night before bed. In the early stages, I told myself that one story would be enough. But when I realized that many of the shorter stories I liked would only be 10-15 pages when translated, I thought this would make far too short of a book. So once I found out that I could at least do the initial translation draft of stories of a certain length in around one week, I decided that I could probably handle 4-5 stories of similar length. My timeline was to try to be done by the end of 2017. This wasn’t just to avoid me getting sidetracked and never finishing the project, but also because I had heard rumors that one or more people were working on publishing something from this author in English, and I felt the project would be more compelling if I was the first published translation. So there was a certain sense of urgency throughout the project. Once I had four stories pretty far along, I did some additional searching and finalized my choice for the last story, The Living Intestine. Not only was the length reasonable, but it had enough science (or more appropriately chemistry) in it that it fit well with the tentative title I had decided. It also seemed to be somewhat well read by Japanese speakers (at least judging from the reviews I found online of it). While originally I made it a ‘stretch goal’ to make a printed book, I judged that to really make a book that was print-worthy, I would need at least 250-300 pages, and translating that much content would possibly take 6 months if not longer. So in the end, I decided an E-book would be sufficient. However, since there were more stories I wanted to translate, I decided to declare the book the first volume of a series. Depending on how the book does and my free time, I may make another volume. In part 3, I already got a good exposure to the stories, but in this step I made sure to read each story to the end before I began translating. As the language in these stories is 70+ years old, there was a significant number of areas I needed to get verification on, and since I was publishing I wanted to be even more sure my interpretation was correct. I utilized friends/family as well as places like forums to check the meaning of the original text. During this process, I already started thinking about which areas I would make translation notes, as I had decided this would be a good thing to add to value to the book. I am not going to go much into the process I used for the initial translation, although I have documented some of my general process in this long post. I used Google Docs for all the early translation steps, as I have been for several years now. Not only is it free, but it allows working offline on a variety of devices, as well as easy sharing and collaborative editing with other people. One of the key points of this step is to not try to edit things too much during the initial translation. (I think this also applies when you are writing your own fiction works from scratch.) Just try to get through it, erring more on the side of literal translations as opposed to interpreting too much upfront. For this step, I always used a document with alternating paragraphs in English and Japanese for easy comparison. In this step I went through the translation again myself several times (at least 4-5) to gradually clean up the naturalness of the phrasing (for example I don’t think the word “naturalness” here is very natural), while making sure it stays close enough to the original text. This step is like the former, except that I had others help me out to do proofreading and verification. I didn’t expect everyone to do a complete comparison against the original text (while I did get some great feedback in this area), so I was looking more for proofreading here to make things sound natural. Even though I thought the stories were pretty well polished at the end of Step 7, I still got a bunch of comments from others that helped improve their quality. I think this was partially because a had a really good team of people helping who were motivated and enjoyed reading the stories. Making a book requires a bunch of content typically not included in a simple blog post. I decided on spending some time to make a (what I hope was) a professional-sounding translator’s introduction, and also made brief sections for acknowledgments and “about the stories”. There are also some other pages you might not expect, like the one after the title page which contains publishing information including the copyright and edition. Also, I had to create the book description which is not directly in the book itself but rather given to the distributor/aggregator who will help me publish the book (see next step). I had people help me proofread the above content, except for the cases where it was really short or insignificant. After a few hours of online searching, I was pretty sure I wanted to go with Draft2Digital, which is a pretty nice site that helps you sell your E-book in a variety of E-book stores, and requires no upfront costs. Their website was generally pretty easy to use and things were well documented. Smashwords was another option, but after seeing their 28k word style guide I admit I was scared away. I also had the option to try and get a book agent or publisher, but I’m pretty sure this would take months, and be very difficult unless I had a book that was long enough. So I went with the simple self-publishing option (as we see later in this article, D2D was far from simple). Draft2Digital imports either Microsoft Word Doc files or formatted Epub files. When I found this out, I decided to convert from Goole Docs to Word. It was surprisingly difficult to find a Word template of any quality that was free, but eventually I stumbled on a set of 5 good free templates on this site and picked one of them as my basis (in particular, I really liked the fonts that were used). Most of the other templates I found were either quite expensive, or didn’t have all the pages I was looking for. Nearly all the sites offering free templates are, of course, trying to sell you something. While this includes the site I just mentioned, I found the templates there of especially good quality, considering they were free. Book Design Templates is another site I found that has nice-looking templates, but they were a bit expensive for my low budget (at this time of this article writing, one of the templates was $59 for one-time use and $119 for multiple use). Converting from Google Docs to Word was easy and only took a few clicks in the former, and I was very thankful the footnotes were carried over without issue. Once I had a good working Word file I imported it into Draft2Digital via their website, which in theory was pretty straightforward. However, once I tried it I was surprised to know that it changed a lot of things, including some fonts and formatting. There were options to have D2D create certain pages for you automatically (like the title page), but I elected to import all of these myself to have more control. Losing the fonts was frustrating since I really liked those in the template I had finally found. However, after thinking about it I realized that in many (all?) E-book reader apps you can change the fonts anyway, so there is little sense in trying to keep a specific custom font. Some of the formatting changes were welcome, in particular the drop caps–which were optional but looked really good in the initial preview I did. However there turned out to be a few problems with the drop caps. First, some of the sections had drop caps in wrong places (like on sub-chapter titles where they didn’t belong), and also there was inconsistent display of them on different devices. I ran into another pretty serious problem which was that now that was in Epub format, there was no way to automatically add new footnotes like in Word, where it would re-number everything. If I wanted to add a note somewhere earlier in the book, I had the choice of either manually adjusting every footnote (I wasn’t looking forward to that), or to add notes out of order. I ended up doing the latter, though this was only for 2-3 notes. Another problem I had was that footnotes didn’t work well after I converted to Epub, so I first converted them all to endnotes in Word and then they displayed better in Epub format. If you really mess something up in Sigil when making manual changes it will catch this via verification. However, for some errors, it lets things slide and I didn’t have any problems until I tried to re-import the file into Draft2Digital (now using an Epub file instead of a Word file). For some errors it could manually correct them, but for others it would say it failed to correct them, and as a result I would have a limited selection of sales channels. In those cases I had to revert to an earlier version of the Epub file and start over. D2D referred me to a page with a tool to do the verification, but I didn’t try that at this stage. One nice thing about this process was that, for the most part, after I went to Epub, D2D wouldn’t really modify my file anymore. So I had more control over the end result. I spent some time over a few days looking through stock photos and considering how to design the cover, potentially using hand drawn and/or 3D rendered elements. However at some point, I realized that such detailed cover design could take weeks, and I didn’t want to push back my release date just for the cover design. Fortunately, I found a great web tool called Canva which helps you design covers for low cost (or free, depending on the options). In literally 20 minutes I had the cover mostly done–simple, but I felt it was good enough. This was where I couldn’t avoid spending a little money: a measly $1 on the background image I selected in Canva (this was for 24 hours, and since I tweaked it once later it cost me $2 total). But I was impressed how easy Canva was to use, except for the lag in changing fonts (over 5 seconds for fonts I hadn’t used yet) which was pretty annoying. After I made changes based on my proofreaders and had a near-final epub file, I tested it on an array of devices: Kindle, iPad, iPhone, and Mac laptop. There were also viewers which simulated how things would look on a device, and also different reader apps (Apple, Kobo, Kindle, etc.) Overall I had at least 6-7 ways to preview, and unfortunately I discovered a few variations in how things were being presented. Most of these were not too serious (like the color for chapter titles which seemed to switch between blue and black), but there was a pretty annoying problem with the drop caps were too big and ran over to other letters on the iPhone. I didn’t find a solution for this issue yet (though decided it wasn’t serious enough to prevent me from publishing it), but I intended to come back to try and fix it later. During this step I also used the Grammarly tool for an extra check on grammar and spelling. I large majority of the errors it found were false positives (over 75%), but it did find a few that me and the proofreaders missed, especially a few British spellings that slipped in. Once I had a (mostly) perfect Epub file, kicking off the publishing process was as easy as filling in a little metadata in Draft2Digital and clicking a few buttons. I decided to select all of the E-book stores available to publish to (why not?). D2D gives you convenient email updates about the process of the book’s publishing in each store. My book came online in Apple in less than 24 hours, and in a few days it was in Amazon. In a stroke of bad luck, several hours after I posted about my book’s release on this blog, I got an email from D2D about some issue related to their terms and conditions. I will write a separate post on this once it is resolved (I am still in negotiations with them), but because there was a chance I would have to take down my book, I decided to do so willingly to be safe. After all this, now I was back at square one and in publishing limbo. As to whether I would suggest D2D to those looking to publish for the first time, I’ll defer that judgment until I see the result of my negotiation with them. While I was waiting for a response from D2D (which can take days to over a week), I decided to attempt to publish my book directly on Amazon via KDP (Kindle Direct Publishing). The process was extremely easy and with only a few tweaks I was able to submit my book to KDP, and in less than two days it was online. Besides having to deal with D2D’s customer service, now I would get a bigger share of revenue because I didn’t have to give 10% to D2D. There is the disadvantage of being able to reach fewer readers, but since it seems Amazon still dominates the market (over 50% of the worldwide share) I thought that using them as a single store, at least initially, would be fine. Also, the minor formatting issues I saw when viewing the book through Apple’s store or Nook were no longer concerns. Fortunately I could, for the most part, use the Epub I had built with Amazon. However, I had to take out some things. I was fortunate to get in contact with a person experienced in E-book publishing who was kind enough to review my Epub file and give some suggestions to clean it up, such as adding keywords in the file. Soon after I posted to Amazon, I re-did the cover to make it give more of a ‘Japanese’ feel, since the original cover was more abstract (since then, I’ve heard feedback from a friend that he liked the older cover better, but oh well). This time I used only free elements in Canva. I also read one of the stories out loud and discovered a grammar error that somehow missed all my other proofing runs, so I fixed that as well. In retrospect, I should have read all the stories out loud before publishing. That is a technique I have used for years, but for some reason I had skipped it. Next time a make an E-book, I want to try and work in one format for most of the process and avoiding converting as much as possible. For this book, the final content was only in Epub format, which has limitations for things like modifying translators notes. Amazon also takes Word files, so maybe next time I can try keeping everything in Word until the end, and hopefully their conversion process will not introduce any formatting issues like I experienced with D2D. If you would like to check out more details on the book itself, please see its page here on Amazon. Great post. Your work is impressive – and an awesome resource! Thanks for the comments and book suggestions! If you do end up reading it, I’m always open to more comments about the content, formatting, or anything.